As a seasoned Voice-Over Professional with over 2 decades of experience in Voice Acting, Audio Production, Voice Casting and Scriptwriting, Jamie Buck's versatility and ability to take direction will ensure your project is a success. Send your script to http://jamiebuckvoiceovers.com/contact for a free, no obligation custom audition and quote. Get a quick listen here. Scroll down to get more in-depth on a specific niche. Please like, download, and share by clicking buttons at top right of each demo. 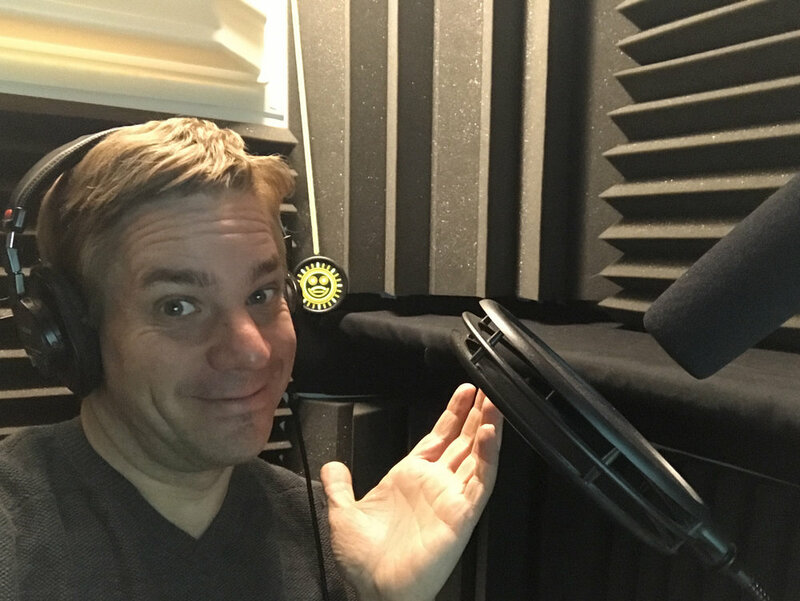 Jamie Buck, a seasoned male voice over artist, can return your voice over online, within the hour! As a seasoned pro with over 2 decades of experience in Voice-Over, Audio Production and Copywriting, my versatility and ability to take direction will ensure your project is a success. Find out if I'm the right fit by sending me your script for a free, no obligation custom audition. I look forward to partnering with you! While Voice Overs are a large part of what we do, this is not the only service we provide. BuckVentures is on a mission to be a top marketing, advertising and creative solution thru our strategic partnerships. Jamie Buck is on of the top male voice actors today. He has been providing voice over online in multiple niches, to clients worldwide since 2006. Take your project further with creative commercial copywriting and high-quality audio production, and you've got a full soup to nuts ready to go piece of production. Once again proving you get more "bang from your Buck". Our digital marketing arm Search Crush launched in 2016, and helps local businesses get more traffic to their website. We offer a phenomenal "SEO ROI", exposing more potential customers to your product or service. Get ready to 10x your company with organic search! Click on the style or service you need, to visit that page.